Courtney Rodgers' artwork, Shed Some Light, was a big winner in Spring 2013. She was awarded Best of Division in Advertising Art at the Los Medanos College Student Art Show and also won the Graphic Design Division and a scholarship from the Discover Art League. The artwork was created in Rebecca Talley's LMC ART 25 Advertising and Marketing class. 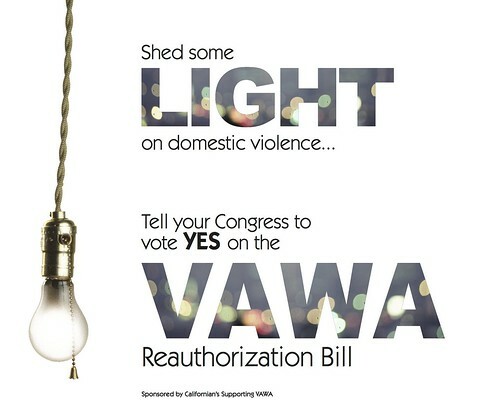 Courtney's winning design focused on increasing public awareness for the Violence Against Women Act (VAWA).